Don’t you just love cookies and packing them up for a late summer picnic is not only fun but delicious! 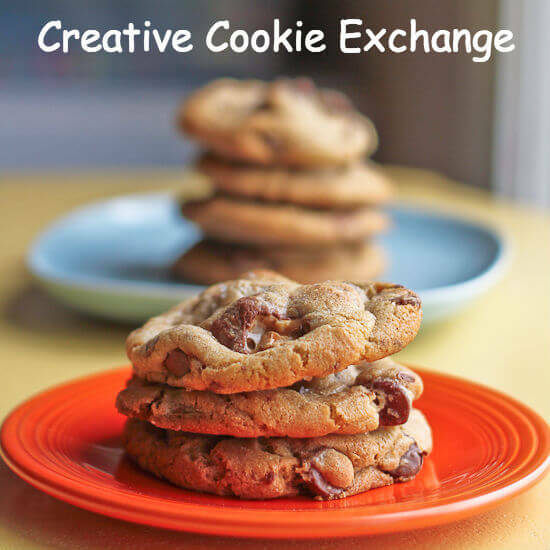 Today I am with #CreativeCookieExchange and our theme this month is Picnic Cookies, thank you Laura from The Spiced Life for this great theme and for hosting!! I decided to make an old standby but one of my all time favorites, Chewy Oatmeal Raisin Cookies. Grabbing a little picnic table or picnic blanket and sharing some wonderful food with family and friends is always a fun thing to do. We have over a dozen cookies that pack well in a picnic basket for you today. Gorgeous golden cookies that are chewy rather than crisp are the way I like my oatmeal cookies. They turned out scrumptious and I have to make another batch soon. 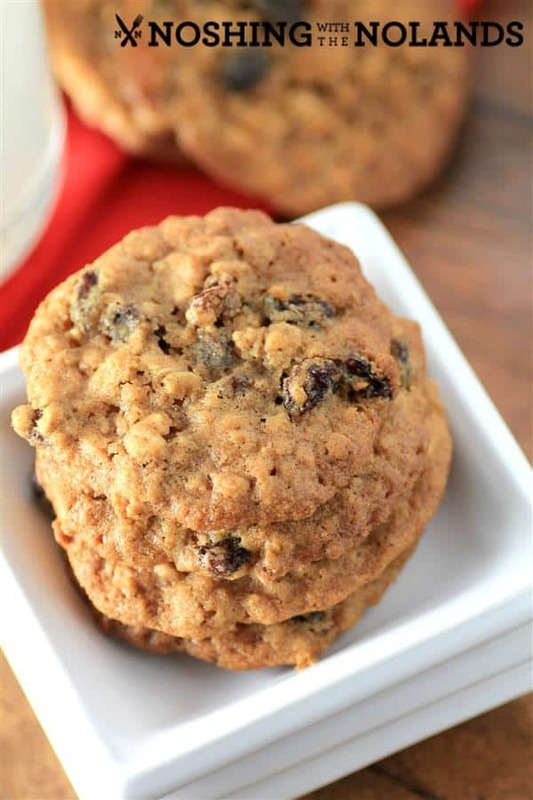 Plump raisins and a touch of cinnamon also make these cookies just perfect. I always soak my raisins in boiling water to plump them back up a bit, then dry them well and they are good to go! 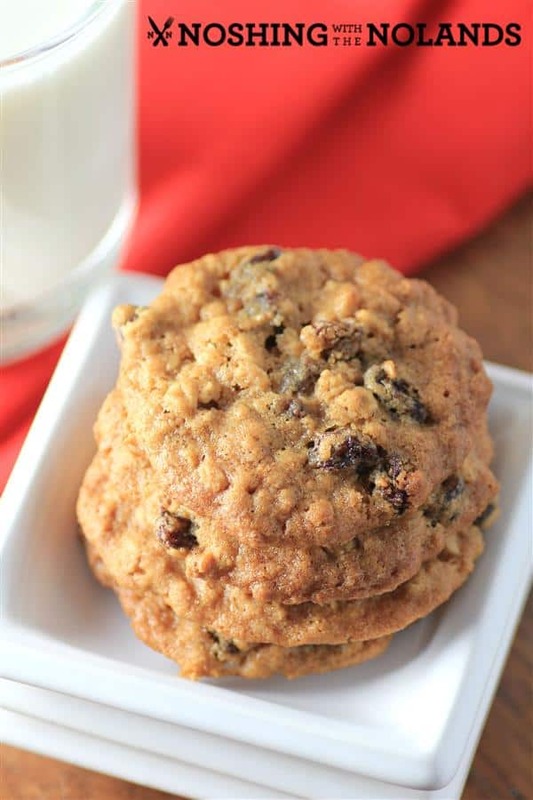 A chewy raisin oatmeal cookie that packs perfectly in a picnic basket to share with others. Combine the dry ingredients, oats, flour, cinnamon, baking powder and salt in a large bowl and set aside. Cream together the butter, sugar and molasses in a bowl of a standup mixer and beat until fluffy for about 5 min. Add the egg and vanilla and beat until incorporated. Add the flour mixture in and stir until combined. Stir in the raisins by hand. Drop dough by heaping tablespoons onto parchment lined cookie sheets. Leave about 2-3 inches apart. Flatten slightly with a fork. Bake until golden about 15 min. Let cool on the sheets for 5 min., then to a rack until completely cooled. Now have a look at all the other wonderful cookies that can fill your picnic basket. Get on out there and enjoy what is left of the summer!! The theme this month is Pack for a Picnic Cookies–any kind of cookie that sounds great for a picnic! If you are a blogger and want to join in the fun, contact Laura at thespicedlife AT gmail DOT com and she will get you added to our Facebook group, where we discuss our cookies and share links. I like oatmeal cookies to be chewy too so I know I’d love these. Thanks Renee for coming over! What a perfectly chewy cookie, Tara! And I love the plumped up raisins! Thanks Stacy, I would love to share some with you on a sunny day on a picnic!! Another one here who completely agrees that oatmeal cookies should be chewy! And what a great choice for a picnic! Yum! +1 on chewy! Absolutely need the oatmeal cookies to be chewy. I will totally love these. Perfect for a picnic! They look delicious! 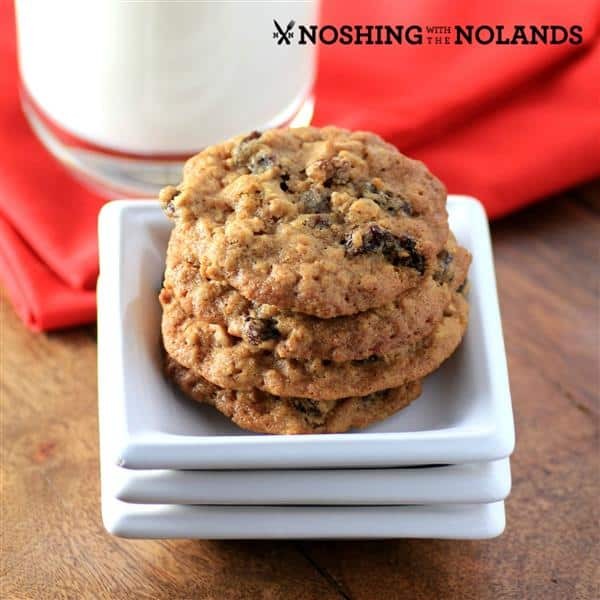 There’s nothing like a chewy oatmeal raisin cookie! Yours look delish! I like your tip about soaking the raisins. I often do that when making rum-raisin banana bread but I never thought about soaking the raisins in water for cookies. 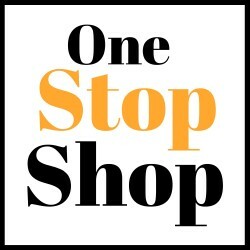 I’ll try it next time! 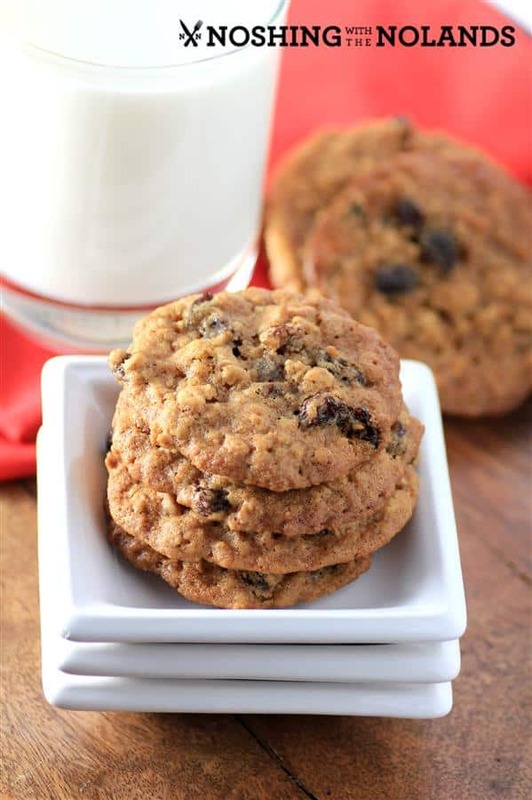 Your cookies look so good – you had me at oatmeal! I am also a chewy oatmeal cookie lover, because that way you get to enjoy every bite for longer. Thanks for the great tip on soaking the raisins. I am definitely going to try it next time I bake. They look so chewy and delicious. Yummy.. I could so go for one of your cookies now Tara! Pinned and shared! How I would love to be on the receiving end of these cookies!